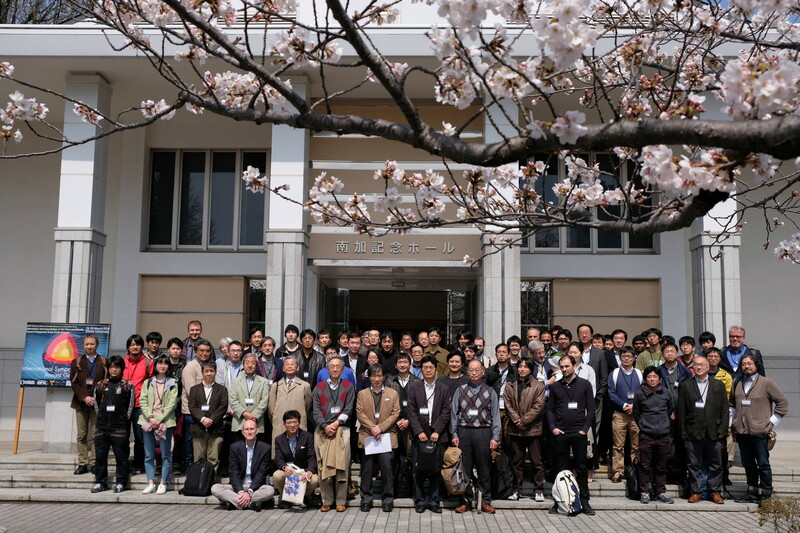 Our International Symposium and FY2017 Annual General Meeting was held on March 26 (Mon) – 29 (Thu), 2018 at Ehime University. 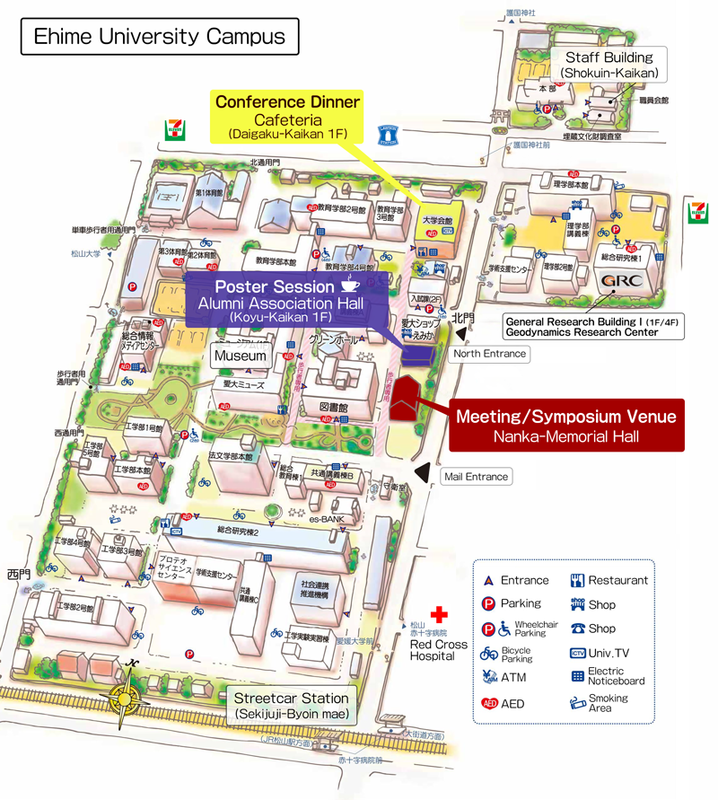 Free wireless LAN, Ehime_Free_Wi-Fi, is available at the conference place. Eduroam is also available, but this requires registration at your institute in advance. Recent observational and experimental investigations have significantly advanced our understanding of the structure and constituent materials of the deep Earth. 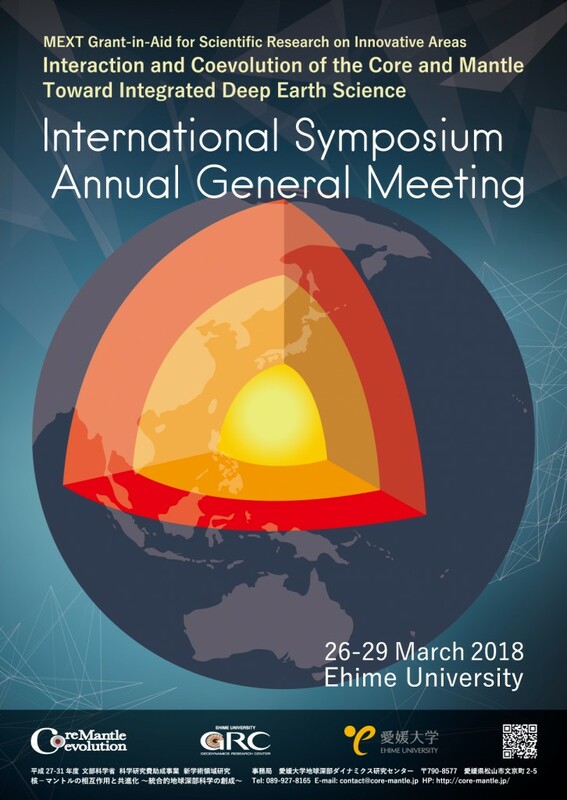 However, details of the chemical composition of the mantle, accounting for 80% of the volume of the entire Earth, and light elements expected to exist in the core, corresponding to the remaining 20%, have remained unclear for over 60 years. Seismological evidence has suggested a vigorous convection at the core-mantle boundary region, whereas geochemistry has suggested the presence of stable regions that hold the chemical signature of early Earth’s formation at 4.6 gigayears ago. In addition, the amounts and types of radioactive isotopes that act as the heat sources that drive the dynamic behaviors of the deep Earth are also still largely unknown. We here provide an opportunity to exchange the achievements and ideas, and encourage the persons who try to elucidate these unresolved mysteries of deep Earth science through comprehensive investigations of the interactions between the core and mantle by combining high-pressure and high-temperature experiments, microscale geochemical analysis, high-resolution geophysical observations, geo-neutrino observations and large-scale numerical simulations. All posters are displayed on boards during the symposium.